As beauty editors, we’ve been around the block a few times when it comes to skin care hits and misses. And while we may seem to have all the answers now, it wasn’t too long ago when we were making our own mistakes in our daily skin care routines. Nobody’s perfect, and it’s all too easy to neglect important skin care concerns—especially when you’re young. 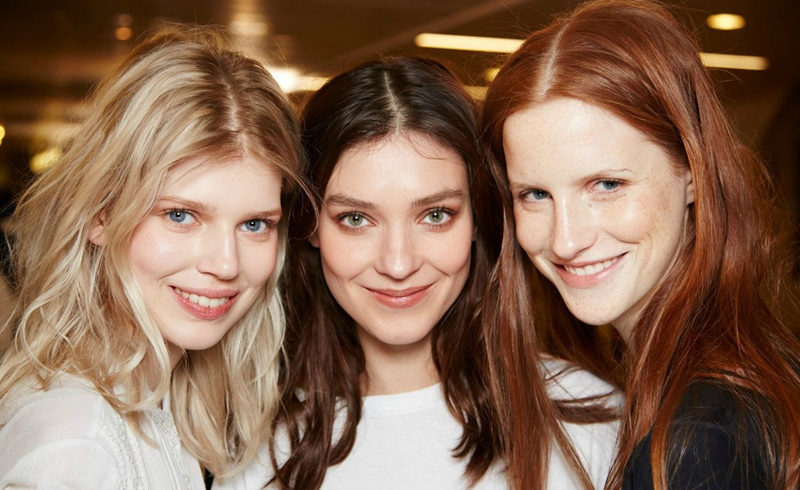 Keep reading for six skin care tips our beauty editors would tell their younger selves! Heed our advice: One easy way to start adding sunscreen into your routine? Using a moisturizer that’s formulated with SPF! We recommend the L’Oréal Paris RevitaLift Bright Reveal Brightening Day Moisturizer SPF 30, which contains broad spectrum SPF 30 sunscreen and helps protect against the sun’s aging UVA/UVB rays. Heed our advice: If you’ve never visited a dermatologist, head on over to our article, Master Class with Dr. Aislyn Nelson: What to Expect from Your First Trip to the Dermatologist, for the low-down on what you should know before your first visit. Even if you don’t have active breakouts or another pressing skin care concern, it’s important to get regular skin checks, so go ahead and book an appointment! Heed our advice: Want to know more about double cleansing? Learn everything you need to know about this Korean beauty trend in our article, How to Double Cleanse. Heed our advice: Think you don’t need these products in your own routine? Think again! To be convinced, read our articles, 4 Reasons to Use a Face Serum and When Can You Start Using Eye Cream? Heed our advice: If being consistent with your skin care routine proves to be an issue for you, we may be able to help. Here’s what works for us: Add one new step to your routine at a time. Be consistent with that step for three weeks, then add another. By forming these new habits gradually, you’ll be more likely to stick with them! Heed our advice: Instead of popping your pimples, curate a skin care routine for acne-prone skin. Here's How to Help Manage Acne-Prone Skin.